For the last decade or two, web surfing has been a leading source of infection and malicious content sneaking its way into your PC, but thankfully, as time passes, tools to secure yourself evolve. You probably heard this request, or demand, a million times, and yet I see many people neglecting the most basic aspect of security, update your software. Specifically here, your browser. 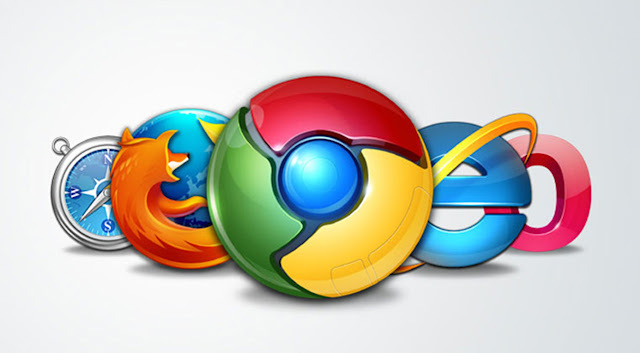 Respectively, all Web Browsers are safe to use, unless there is a zero day attack discovered, which happens rarely. We can argue and debate for weeks on which browser is better than the other in terms of features, but security wise, if you keep them all up to date, it’s better than nothing. Firefox, Google Chrome, and many others have implemented a silent update feature, which basically allows it to update in the background, automatically, without bothering you with anything. Please, enable that feature. If you’re not comfortable with auto updates, then do a check regularly, at least once a week, if you’re paranoid like me. Addons and Extensions can save your system, they can also enhance your web surfing experience significantly, but since we’re only focusing on web security now, we’ll discuss adding features to your browser later. Firefox and Google Chrome are very popular and respected web browsers, they offer a massive list of plugins and extensions, but thankfully you don’t need much to give your web surfing a bit of security. This nifty extension will block almost all the advertisements you see on the web. That’s not to say that all of them are harmful, but many of them are, and for a long time now ABP has offered a “Malware Domains Block” feature, and “Block Tracking”, can be enabled right when you install the addon, or later in through configuring it. Keep in mind, many websites rely on advertisements to generate a revenue, whether it’s to keep the website going or if it’s part of a business strategy. Many good and reliable websites offer a complete explanations on what advertisement they use, and their criteria of accepting advertisers, many of them also use advertisements that you can manually opt out from, if one of your worries is tracking. Consider those websites when using an addon such as AdBlock Plus, to enable advertisements on the websites you admire and trust. This addon is a very strong alternative to AdBlock Plus, essentially both will do the same job, which is blocking ads based on the same popular filter lists or custom ones. uBlock has more features, to be more exact, it gives you more control on basically every aspect of the blocking process. Many argued that it even uses less resources than AdBlock. As of 2016, it’s been my choice for ad blocking, but like I said, both are great and either of them would suffice. This is a great extension to have, WOT for short, it’s a community maintained database of websites, where users share their experiences. Once enabled and installed, if you visit a shady website, the extension will let you know that the website you’re visiting is not safe, or that some users have had bad experiences with that website. You can even check the reviews sometimes, it’s not always just malicious content, it could be a website that is selling fake products, or scams and so on. It seems that WoT have been exploiting its users by collecting more information than it was supposed to, in an “intimate” level, and selling it. If you have WoT installed, I highly recommend that you remove it immediately. This extension will enable, or in other words, switch the links you click on from HTTP to HTTPS where applicable. It has a maintained database of websites. Many resources online have outdated links, which would give you the old http:// non-encrypted connection links, sadly also, sometimes the browser and/or the server won’t redirect you correctly to https:// even if the website has enabled it, though that rarely happens with well maintained websites. This extension basically makes sure that if the option is available, use a secure connection over HTTPS instead. For more information on HTTPS, please read this article on Wikipedia. The reason I labeled this extension as optional, is, well, it’s one of those extra steps you take. As long as you’re generally careful and using your web smart, so to speak, you should be fine. The good old school of “Don’t click on anything, and if it’s too good to be true, then it avoid it” works like a charm. That’s it, if you enable some or all of the mentioned extensions and realize that the internet can be a bad place so you should proceed with caution, you should be fine. Remember, never click on anything blindly, always make sure to research if you have doubts, Google has made that process so easy, so you don’t have any excuse not to do it.